After successful efforts educating students on alcohol abuse and impaired driving, the Dean of Students Office will expand the #SmartMoveUCCS campaign to topics related to the overall well-being of students. “There’s so many different experiences and decisions students make while they’re here, and when it comes to making smart moves, it’s not just about alcohol and drugs,” Ray Fisco, prevention and outreach manager, Dean of Students Office said. 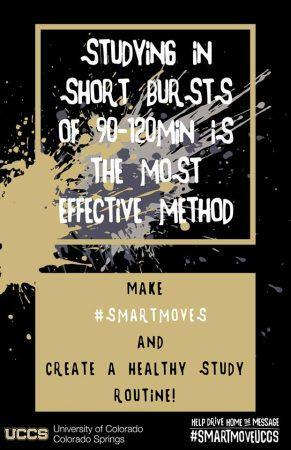 The expanded campaign includes aspects like taking care of physical health, creating a healthy study routine, becoming an active member of the student body and more. “We know our students are very responsible when it comes to behaviors around alcohol and other drugs and we want to make sure they’re doing that in other aspects of their lives too,” Fisco said. Fisco and his team presented to more than 2,000 first-year students during the first two weeks of classes on the SaVE Act, VAWA and how to look out for friends in different situations. “We’re one big community and we look out for one another,” Fisco explained to the freshmen when relating #SmartMoveUCCS to the UCCS Creed. The campaign will continue events like Trunk Treats and an escape room later this fall, along with partnering with other department events across campus, including the Health and Wellness Fair Sept. 25. 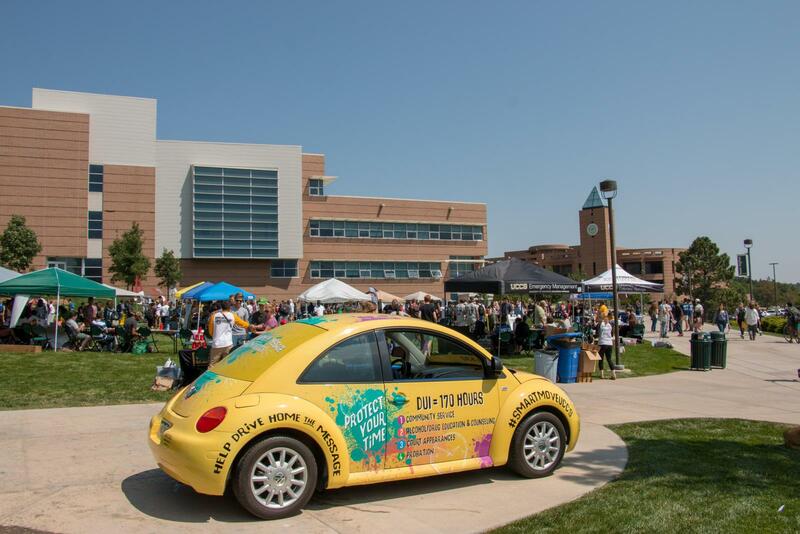 Earlier this year, #SmartMoveUCCS successfully raised $5,000 for Mothers Against Drunk Driving Victim Services by Persistent Drunk Driver Committee funds after receiving enough engagement on social media. Fisco hopes to continue partnering with departments on-campus and off to help spread the word of the campaign and continue making an impact on students’ decisions.